Papaya. I never buy this fruit here in Upstate New York, having convinced myself that to enjoy it, I would need to be somewhere tropical. Not true, ATC readers! 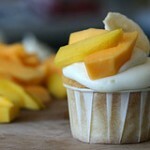 and here are the papaya cupcake recipes to prove it. 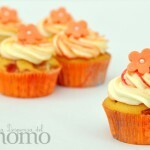 Get more adventurous with Papaya Cupcake. This recipe appears in Spanish, but, if you’re using Google Chrome as your Internet browser, this nifty top bar pops up asking if you want the page translated into English – answer? yes. The tip on putting a dye tube inside the frosting piping bag to get the beautiful swirls is just OTT. I discovered La Depensa del Gnomo during my global cupcakes week, and he never fails to impress. May this inspire you to venture into the land of tropical fruits this summer no matter your climate! Pop Tarts were always a last minute, rushed breakfast option when I was growing up. Even though they lack nutritional value they were always delicious! 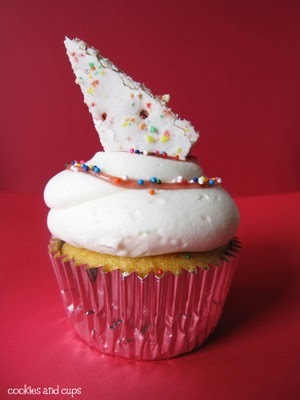 Continuing with the breakfast cupcake posts, these Pop Tart Cupcakes by Cookies and Cups look amazing! According to the directions you simply hollow out a vanilla cupcake, fill with strawberry preserves and top with buttercream frosting. Garnish the frosted cupcakes with a swirl of strawberry preserves and sprinkles and you have your strawberry pop tart cupcakes. I wonder what other pop tart flavors could be transformed into cupcakes. I just saw these cute little cupcake pajamas at WalMart.com! Only $12 for the little cupcake princess in your life! 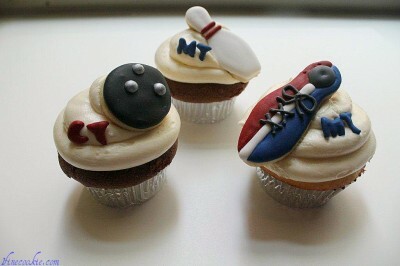 ATC reader Jasmin at 1 Fine Cookie shared these cupcakes with us that she crafted for a bowling birthday party. She created the bowling shoe, bowling pin and bowling ball toppers from cookies. I am impressed with her attention to detail! What a great idea! And if you’re not a huge bowling fan, you could use a similar idea for your favorite sport or hobby. ATC fan needs your $10,000 vote! Now Lisa’s “Bubble Trouble” cupcake needs your popular vote. You can vote once per day per e-mail address through Sunday, July 31. 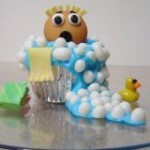 I’ve already voted for Lisa’s Bubble Trouble cupcake today and shared it with my FB friends. Can we give Lisa the help she needs to show Jelly Belly that her adorable cupcake with jelly bean design should be selected as the winner? Good luck Lisa from everyone at ATC! We have shared with you several versions of kids cupcake bedding before and here is another option. The Company Store’s kids line called Company Kids has a cupcake party percale bedding set for sale on their website. Choose from twin or full sizes and flat sheets, fitted sheets, pillow cases, and a comforter cover. 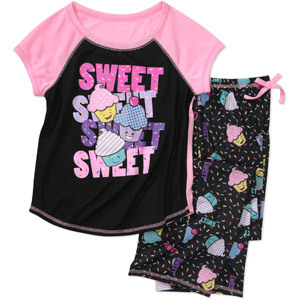 While on the site don’t forget to look at the girls’ snug-fit cupcake pajamas available in sizes 2T-6 for $19.00. Or there’s a short sleeve cupcake tee on sale for $9.99 available in sizes XS-M. And perfect for kids going back to school is the cupcake appliqued messenger bag that is $22.00. The lemon slices in my iced tea got me started on a recipe quest for lemons and limes. The raspberries and blackberries were bonuses from the hunt. And remember, I’m out for fresh-picked berries, here in Upstate New York. 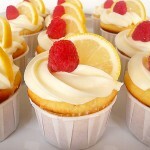 In the lemon category, I came across “Lemon-Limoncello Cupcakes.” Yum. These tangy delights include lemon zest, lemon juice, and limoncello. They’re topped with raspberries and lemon slices. In the lime category, how about “Key Lime Cupcakes with Blackberry Frosting?” Yowee! We’re talking lime juice, lime zest, lemon juice, and blackberries. Now, the only question is whether it’s lemon followed by lime or lime followed by lemon?